Is immersive journalism on social media platforms viable? Despite the rising interest in the field, immersive journalism as a genre is still in its infancy. However, social media companies are already working on ways to show these stories on their platform. In 2014, Facebook struck a 2 billion dollar deal to buy Oculus VR, a company that was known for the VR games. But shortly after the takeover, Facebook CEO, Mark Zuckerberg, said that while Oculus will not stop creating games all of a sudden, the aim is that content creators will create non-gaming experiences for its users. (Dredge, 2014) Google and Apple are also trying to get their share of the VR market. Both Google and Apple are focusing more on the gaming industry at the moment in an effort to build a user-base and also monetise the technology. Google however has also ventured into the storytelling field and has created Emmy-award winning VR films are their Spotlight studios. (Google.com, 2019) Apart from VR, the iOS and Android are also focusing on AR apps in their app store. While the social media and technology giants continue investing in VR and AR technologies, it is now up to the journalists to build immersive stories. That brings us to the question, is immersive journalism on social media viable? Is technology ready to create immersive stories? For consuming news on social media, the best way out will be mobile VR i.e. using a smartphone in a VR headset. This technology can be used in the meantime, while hoping that future smartphones come with the capability of navigating VR experiences. Mobile VR will also ensure mass distribution of the experiences. It is forecast the market share for VR and AR will be 192 billion US dollars by 2022, which shows that there will be an interest in this genre of storytelling. While creating immersive content remains a risky investment, the lack of a repeatable revenue model proves to be another hindrance in creating immersive stories. Most of the news organisations depend on ads to be able to pay their employees. But it is difficult to place ads in VR/AR films, which becomes difficult to monetise the projects as the production costs rises. Both news organisations and news wires (The New York Times, Associated Press and Reuters) are producing immersive content on daily basis to judge the appetite for the genre but still haven’t found a way to earn a revenue out of it. (Watson, 2017, p17–22) It is also difficult to put a price on creating immersive stories because of the variety of the content produced like games, films and reports. While one part of the audience couldn’t stop raving about the use of the immersive technology in journalism, another raised the issue of ethics in immersive journalism. 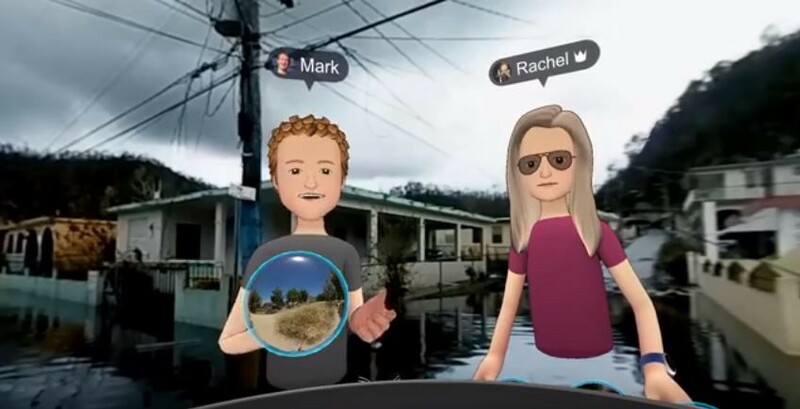 Zuckerberg was criticised for using a tragedy to introduce Facebook Spaces and other VR products that his company was launching. Questions were also raised about the experience in itself. Zuckerberg repeatedly claimed that by this kind of an experience, the user gets to sympathise with the victims of the natural disaster. However, some people argued that the use of animated avatars decreased the seriousness of the experience. De la Peña in an interview to Tech Republic said that “there’s a responsibility with taking a person’s body along for the ride.” (Carson, 2015) In VR, when audience and the creator both need to understand that difference between witnessing the story in-situ and being a victim of the situation. A person can see the devastation created by a natural disaster but when they remove the VR headset, their life hasn’t changed like that of the people in the story. It becomes important to not give the feeling of false consciousness to the user. Despite the problems and ethical considerations, social media also has some advantages when it comes to delivering news. The main and biggest advantage that social media has to offer to is store the stories forever. The social media platforms are slowly becoming archives of news stories and this will help news agencies save their resources when it comes to digital space. The high number of social media users also means that there will be people to verify and report if any fake news story is being flouted on the platform. The platforms together have a huge number of users but at the same time, all the platforms have the option of sharing the stories on their contemporary platforms. This will help in increasing the reach of the news story. The directed VR experiences made by news organisations right now are stand-alone projects available either on mobile applications like Guardian’s 6x9 or NFB’s The Enemy or are available as computer applications like BBC’s We Wait. 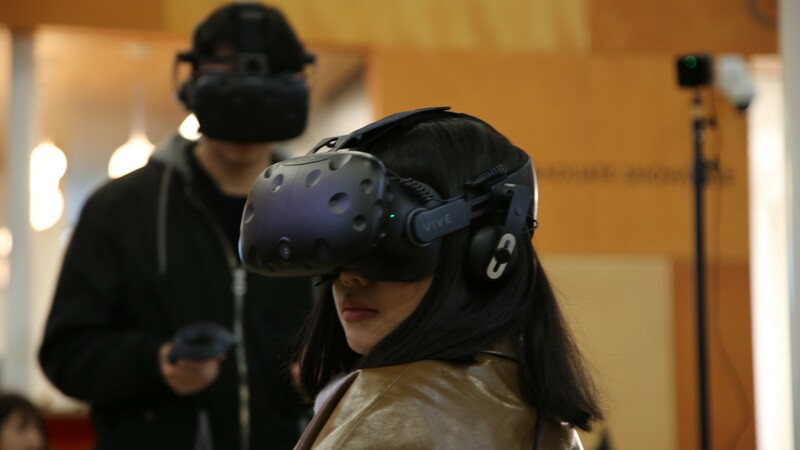 A few other VR experiences are made in the form of exhibitions or installations to give the user unrestricted space to wander in the project and find make their own path. Max Boenke, Head of Video at Berliner Morgenpost, notes that most of the content produced by the news organisations in the immersive genre is not interesting and this is keeping people away from such stories. (Watson, 2017, p12) Therefore, while Facebook spaces is trying out its beta version and Google, Microsoft and Sony create their dedicated VR devices, it is the prerogative of the journalists to create quality content that will help both in monetising the technology as well as further exploring it. Jeremy Bailenso, a professor of communication at Stanford University and founding director of the Virtual Human Interaction Lab, said “Bringing audiences closer to the reality of a story has always been the preoccupation of journalists, and VR, it seems, offers an ideal multimedia experience.” (Bailenso, 2018). Social media provides the news organisations with a large audience and a free-archiving service. Immersive stories and the constant growth in the number of social media users makes this the ideal match. The steady development in immersive technologies will also translate into the journalists getting more creative freedom while reducing the cost of production. So, while Facebook works on its VR platform, Microsoft makes it’s Hollow lens affordable and Google reworks its vision of Google glass, it is on the journalists and news organisations to manage the audience expectations and educate them in the new technology. We still have a long way to go before VR projects can be created for mass-consumption. So, in the meantime, social media apps and platforms can be used to showcase the VR stories that can be viewed with just the basic headsets. 1. Bailenso, J (2018). How virtual reality could change the journalism industry. [online] Available at: https://www.pbs.org/newshour/economy/making-sense/how-virtual-reality-could-change-the-journalism-industry [Accessed 7 Apr. 2019]. 2. Carson, E. (2015). Immersive journalism: What virtual reality means for the future of storytelling and empathy-casting. [online] TechRepublic. Available at: https://www.techrepublic.com/article/immersive-journalism-what-virtual-reality-means-for-the-future-of-storytelling-and-empathy-casting/ [Accessed 7 Apr. 2019]. 3. Cotting, D. (2018). 360° Video vs. True VR: Defining Immersive Media | SHOCKOE. [online] SHOCKOE. Available at: https://shockoe.com/blog/video-vs-true-virtual-reality/ [Accessed 7 Apr. 2019]. 4. De la Peña, N., Weil, P., Llobera, J., Spanlang, B., Friedman, D., Sanchez-Vives, M.V. and Slater, M. (2010). Immersive Journalism: Immersive Virtual Reality for the First-Person Experience of News. Presence: Teleoperators and Virtual Environments, 19(4), p291–301. 5. Dredge, S. (2014). Facebook closes its $2bn Oculus Rift acquisition. What next? [online] the Guardian, 22 July. Available at: https://www.theguardian.com/technology/2014/jul/22/facebook-oculus-rift-acquisition-virtual-reality [Accessed 7 Apr. 2019]. 6. Google (2019). Google Spotlight Stories. [online] Available at: https://atap.google.com/intl/en-GB/spotlight-stories/ [Accessed 7 Apr. 2019]. 7. Janko Roettgers and Janko Roettgers (2017). Study Predicts Fewer Than 10 Million Monthly U.S. VR Headset Users This Year, 17 Million by 2019. [online] Variety, 22 May. Available at: https://variety.com/2017/digital/news/vr-headset-data-mau-2017-2019-1202440211/ [Accessed 7 Apr. 2019]. 8. Kent, T. (2015). An ethical reality check for virtual reality journalism. [online] Medium 31, August. Available at: https://medium.com/@tjrkent/an-ethical-reality-check-for-virtual-reality-journalism-8e5230673507 [Accessed 7 Apr. 2019]. 9. OmniVirt (2017). 360° Video / VR Performance Statistics from 1000+ Campaigns. [online] Medium, 13 November. Available at: https://medium.com/omnivirt/360-video-vr-performance-statistics-from-1000-campaigns-2f7343ecfe13 [Accessed 7 Apr. 2019]. 10. RYOT (2015). The Nepal Earthquake Aftermath in 360° Virtual Reality — Nepal Quake Project — RYOT VR. YouTube. Available at: https://www.youtube.com/watch?v=5tasUGQ1898 [Accessed 7 Apr. 2019]. 11. Smart Insights. (2019). Global social media research summary 2019 | Smart Insights. [online] Available at: https://www.smartinsights.com/social-media-marketing/social-media-strategy/new-global-social-media-research/. 12. Statista. (2014). Active virtual reality users worldwide 2014–2018 | Statistic. [online] Available at: https://www.statista.com/statistics/426469/active-virtual-reality-users-worldwide/ [Accessed 7 Apr. 2019]. 13. Statista. (2016). Consumer virtual reality market size worldwide 2016–2022 | Statistic. 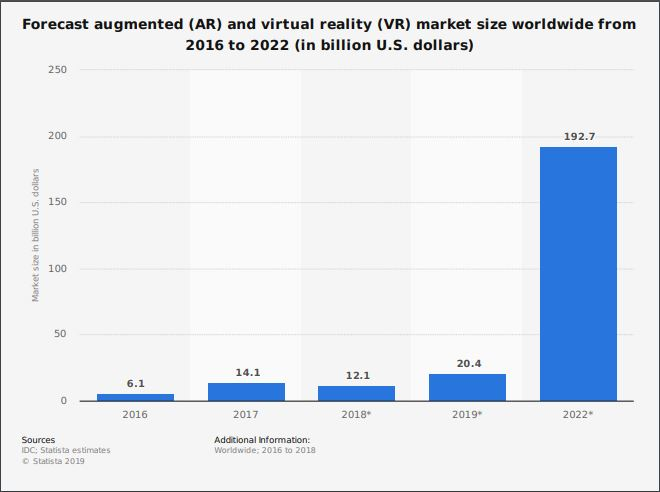 [online] Available at: https://www.statista.com/statistics/528779/virtual-reality-market-size-worldwide/ [Accessed 7 Apr. 2019]. 14. Stroud, S.R. (2015). Virtual Reality, Immersive Media, and Journalism: The Ethics of Facebook’s Virtual Trip to Puerto Rico. [online] Academia.edu. Available at: https://www.academia.edu/37305133/Virtual_Reality_Immersive_Media_and_Journalism_The_Ethics_of_Facebooks_Virtual_Trip_to_Puerto_Rico [Accessed 7 Apr. 2019]. 15. Thibault, M. (2018). VR Social Networks will be all the rage in 2018. [online] Medium, 19 May. Available at: https://medium.com/@tickarawr/vr-social-networks-will-be-all-the-rage-in-2018-fda5093c65 [Accessed 7 Apr. 2019]. 16. USA TODAY. (2017). Inauguration stream in 360 degrees VR. [online] Available at: https://eu.usatoday.com/story/news/2017/01/20/live-twitter-feed-inauguration/96828104/ [Accessed 7 Apr. 2019]. 17. Watson, Z. (2017). VR FOR NEWS: THE NEW REALITY? [online] . p17–22. Available at: https://reutersinstitute.politics.ox.ac.uk/sites/default/files/research/files/VR%2520for%2520news%2520-%2520the%2520new%2520reality.pdf [Accessed 7 Apr. 2019]. 18. Washington Post (2016). The Washington Post releases augmented reality view of Freddie Gray’s case. The Washington Post. [online] 10 May. 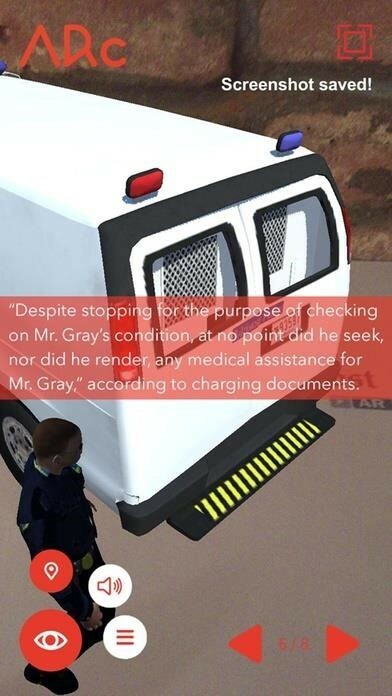 Available at: https://www.washingtonpost.com/pr/wp/2016/05/10/the-washington-post-releases-augmented-reality-view-of-freddie-grays-case/?noredirect=on&utm_term=.cb2e24787480 [Accessed 7 Apr. 2019].